Time truly waits for no man. I’m scheduled to travel offshore next week so I’ve been heavily involved in some front end activity here at work. Surprisingly, the last two days have waltzed past me and I’ve not even had the time to write anything on the blog. Its times like this I wished I had a columnist that could hold the fort when I’m not available but it’s aii. These things happen. As we eagerly anticipate the Community Shield between the Gunners and those Rent Boys, their manager has been on the news lately and I wouldn’t even bother you with the bullcrap he has been spitting from his pile hole recently. I know Arsene Wenger hasn’t defeated him in 13 attempts but all records are meant to be broken. More on the Community Shield in the coming days. The club has finally confirmed that Wojciech Szczesny has completed his long-awaited loan move to AS Roma and Arseblog wrote a rather emotional piece about the goalie, which in my honest opinion was a very good read, so help yourselves out. That’s if you haven’t seenit already. I’ve shared my thoughts on the Szczesny to Roma issue as well, so there’s no point dwelling on it anymore. Elsewhere, the club has also confirmed that youngster, Jon Toral, will play the 2015/16 campaign in Birmingham City. Toral was loaned to Brentford last season and he made 37 appearances for the Bees, scoring six goals which included a scintillating hat-trick against Blackpool. Birmingham hasn’t returned to the Premier League since their relegation in the 2010/11 campaign but they’d fondly remember the Capital One Cup victory over the Gunners that season. Arsenal has had its fair share of contingent that have played for the club in the past with Lord Nicklas Bendtner featuring consistently for the club in the 2006/07 season, scoring 13 goals in 48 appearances for the club. Aliaksandr Hleb featured for the club as well, and he suffered the ignominy of relegation. Szczesny and Toral will join the likes of Yaya Sanogo (Ajax) and Carl Jenkinson (West Ham) as players that have been farmed out on loan and I’d expect more players to join this list. 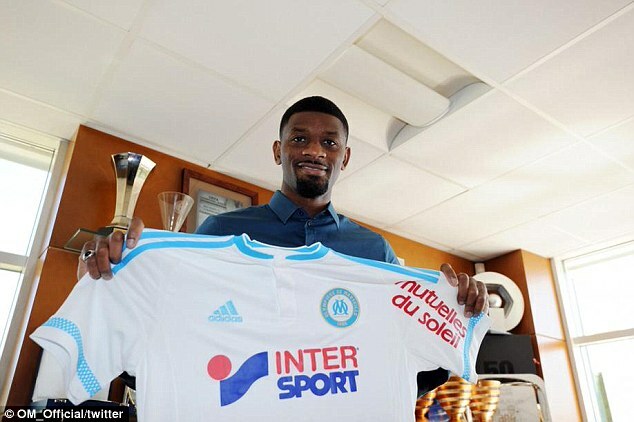 You also must be aware that everyone’s sweetheart, Abou Diaby, has returned home to play for Marseille. Just a few weeks ago, he was pretty close to signing for West Brom and Sky Sports even reported that he was due to go for a medical with the Baggies, but the move fell through for reasons best known to the injury gods of Novigrad, Velen and Skellige. 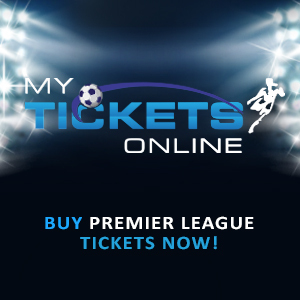 “It was knowing which club would help me the best medically. That was my real priority. I had very, very advanced talks with West Brom. But I found Marseille was better. I thought: why not come back to France? “I had hard times in those nine years, but some beautiful moments. I had the chance to get to know Arsene Wenger, who is a truly great coach and a great man, too. His time at Arsenal was riddled with injuries and he has identified Marseille as a club that could help him medically. I wish him the very best in this new chapter of his life and I hope he realizes that potential we couldn’t see at Arsenal because of his injuries. If you might have noticed, I’m having some technical difficulties with the appearance of the site but I’ve contracted Mr. Fix It in the Wreck it Ralph movie to sort things out. Bear with me. To be frank, I missed the entire first half of the match against Wolfsburg because I was in Yaba but from the highlights I saw afterwards, I didn’t really miss much. 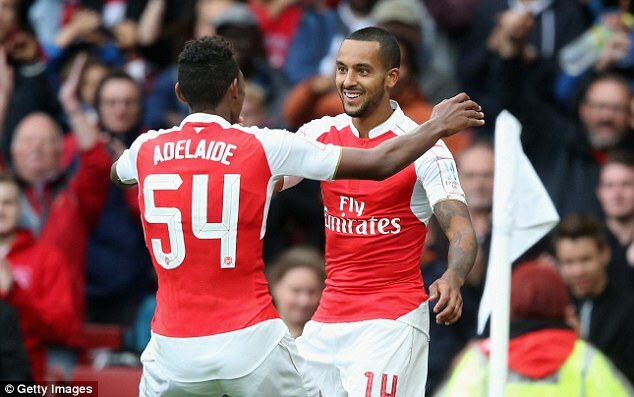 Theo Walcott started as a center forward and he had a couple of chances to make his mark. Firing a shot at the goalie with his first attempt and losing the composure I believe he’s renowned for. Mesut Ozil also hit the deck after a miscued effort that just missed by a lick of paint. It was the second half I witnessed and I saw that young Gun, Jeff Reine-Adelaide, strutting his stuff with such confidence. After making mince meat of some marker, he had the option of passing to Chuba Akpom and Theo Walcott but the young lad chose the right option of feeding Walcott that toe poked the ball past Diego Benaglio to score what proved to be the match winner. Arsenal almost shot themselves on the foot when Mikel Arteta uncharacteristically gifted the ball to Kevin de Bruyne of all people but the Belgian blasted his shot into orbit. Reine-Adelaide continued to run the show and he made an audacious attempt with the outside of his boot to Walcott’s path. The Englishman put on the afterburners but Benaglio showed some good anticipation to avert the danger. Walcott was getting into the groove and he even attempted a Thierry Henry-esque one time finish that missed its intended target. Petr Cech was enjoying his home debut and he was determined to mark it with a clean sheet. There were a couple of goal attempts from Ricardo Rodriguez and Josuha Guilavogui but it was bread and butter stuff for the Czech legend. Wenger wanted to add some oil to Arsenal’s engine by bringing on Aaron Ramsey and Ox. Both players almost contributed to scoring a second goal when Ox made one of his trademark slalom runs before feeding Ramsey but the Welsh Jesus’ chip went wide off the mark. From that point onwards, it was a relatively dull affair that was sparked to life by Isaac Hayden’s beautiful curled effort that brought out the best in the goalie. 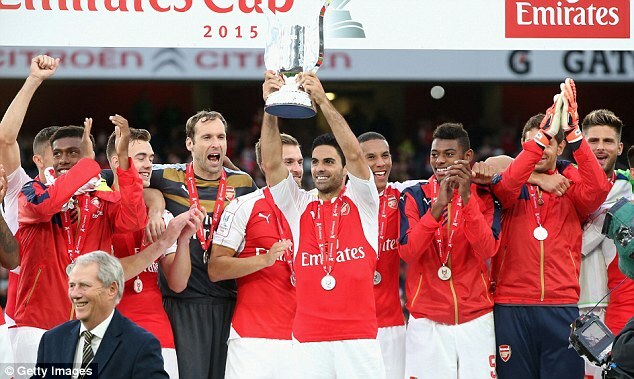 The solitary goal was enough for the Gunners to win the Emirates Cup for the first time in five years. Olivier Giroud and Isaac Hayden didn’t play long enough to get a Gooner Daily rating. All roads lead to Wembley.